The most notable change was a shift in his gold related investments. Back in 2009 we highlighted Einhorn's physical gold position. 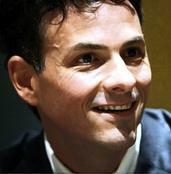 This time around, Einhorn has been re-allocating some of his physical gold stake into gold miners. He's been buying miners via GDX the exchange traded fund. The rationale for such an adjustment: "Throughout the course of this year, a substantial disconnect has developed between the price of gold and the mining companies. With gold at today’s price, the mining companies have the potential to generate double-digit free cash flow returns and offer attractive risk adjusted returns even if gold does not advance further. Of course, since we believe gold will continue to rise, we expect gold stocks to do even better." Einhorn also mentioned that he boosted net long exposure to 35%. On the markets in general, the hedge fund manager still sees pockets of opportunity, saying, "Many equities, especially in large capitalization companies appear quite attractive. This is balanced by the continuing impact of dangerous macro policies. Most of our portfolio is assembled from the bottom up and we continue to see reasonable opportunities on both sides of the portfolio." Another notable move from Greenlight in the past quarter was the sale of their longstanding position in Pfizer (PFE) due to better investment opportunities elsewhere. During the volatility and market dip, Einhorn was covering some shorts, adding to existing long positions, and starting new stakes in the technology and auto sectors. We also detailed Einhorn's presentation on shorting Green Mountain Coffee Roasters (GMCR) from the Value Investing Congress as he outlined the company's accounting gimmicks. For all aspiring fund managers out there, be sure to check out David Einhorn's recommended reading list.